← Tuesday 1st September 2015 – Toy’s Hill, Kent. 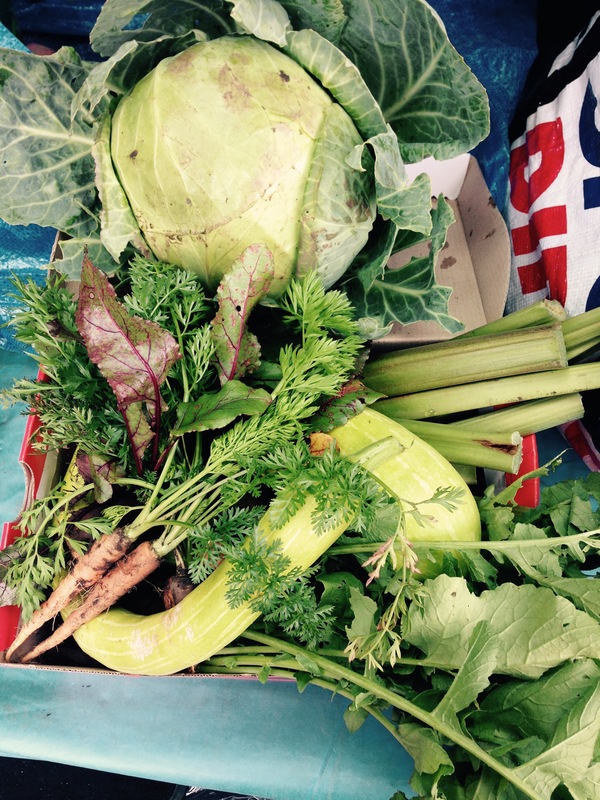 Thursday 3rd September 2015 – The kids are back to school, so I’m back to the allotment!! Over the summer holidays I just keep the allotment ticking over, mainly harvesting and watering. Because there is very little weeding that gets done at this time, the weeds have a field day and the only way to describe my allotment at the moment is “ferrel”. Still I’ll soon whip it back into shape (weather permitting). I needed to get a veggie box sorted for my friend Clair. She gets me 2 trailers full of manure every year, and as a thank you I give her a veggie box with all sorts of goodies in. I’ve just dropped this years round to her house and she was very pleased. In it I put, Rhubarb, Potatoes, French Beans, Beetroot, Radish, Cabbage, Carrots and a Swan Necked Squash. I hope her and her daughter enjoy it all. A thank you gift for my friend Clair for all the manure she supplied me with. The big question once this was done was “Where do I start?” I decided that the Rhubarb bed was as good a place as any. 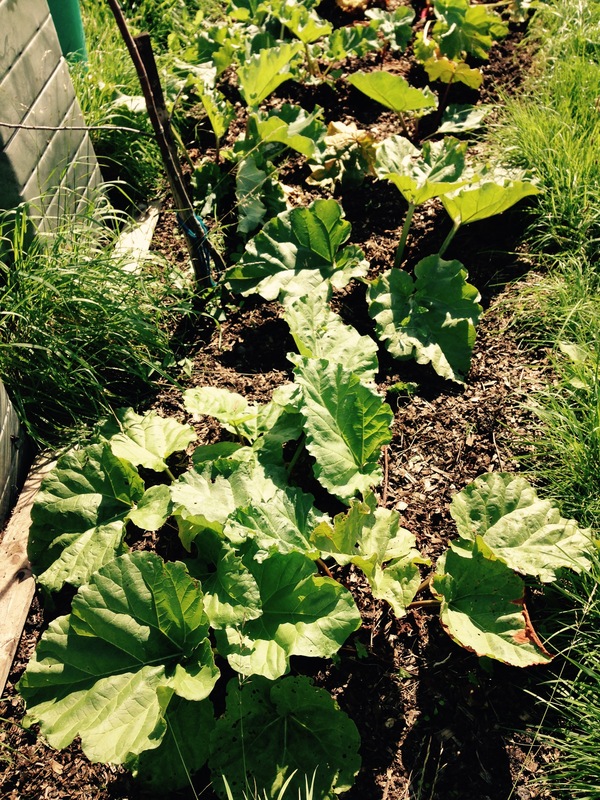 I harvested the last of this years Rhubarb from that bed and cleared away any dead leaves. I then started to weed and loosen up the soil. I managed to get quite a bit harvest, but my fun on my allotment was cut short by a phone call from my daughter saying she was unable to lock the front door with her key. Not sure why that was, so I had to come home just after she’d left. My key works, I’ll have to look at hers when she gets home to see if her key bent or something. The last of the rhubarb pulled up from this bed. Just need to weed and manure and it’s ready for the winter. Still it was a gentle way to get back into the allotment again after the summer break. This entry was posted in Uncategorized and tagged beetroot, cabbage, carrots, claire's allotment, french beans, potatoes, radish, rhubarb, swan necked squash. Bookmark the permalink. 9 Responses to Thursday 3rd September 2015 – The kids are back to school, so I’m back to the allotment!! I hope you’re able to find some free manure somewhere. Do you know “A man with a van” who could take a trip with you to the stables? Glad I’m not the only one struggling with the weeds. We were away for two weeks and there’s been a fair amount of rain in that time. The weeds are having a great time! The weeds have just taken over. They seem to have no self control at all. Interesting to read that you harvest the last rhubarb. We stop picking rhubarb leaves around July and let the plants die down. If it’s still growing and tastes good then I keep picking. I’ve just picked the last of it for this year though.